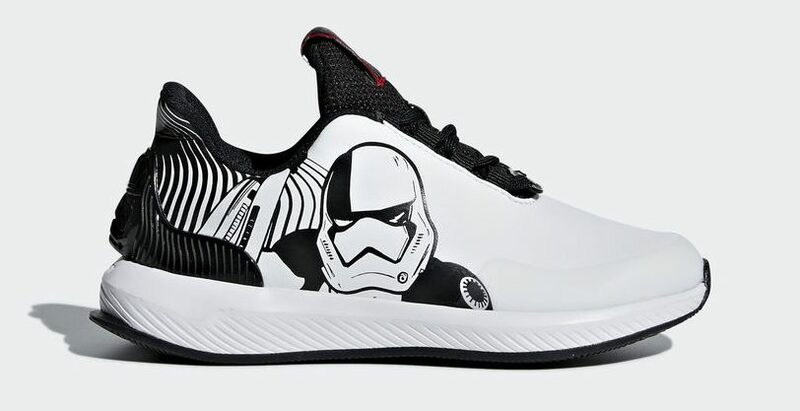 There are already online and available in your favorite shop ! 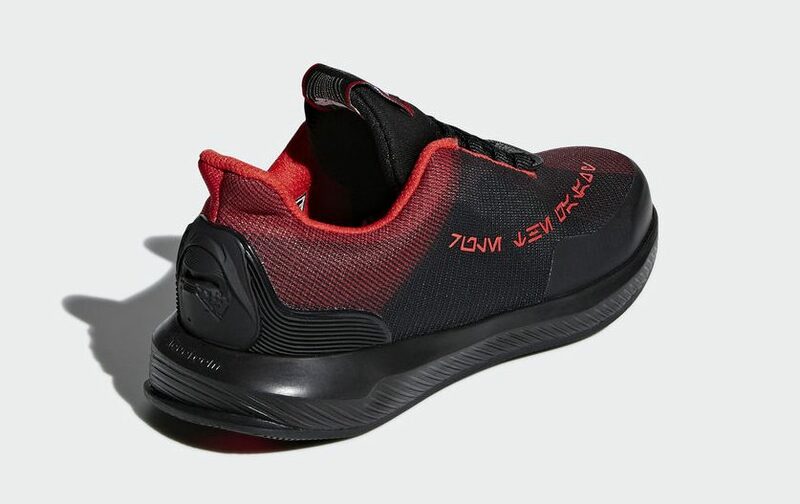 Here is the original concept for Kyloren character. 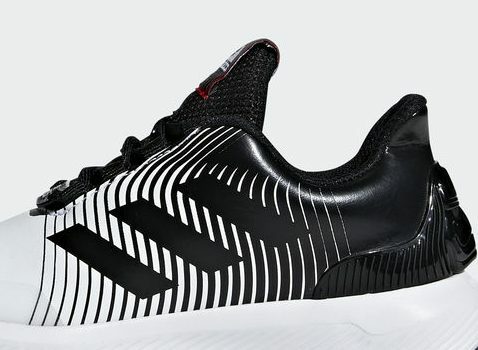 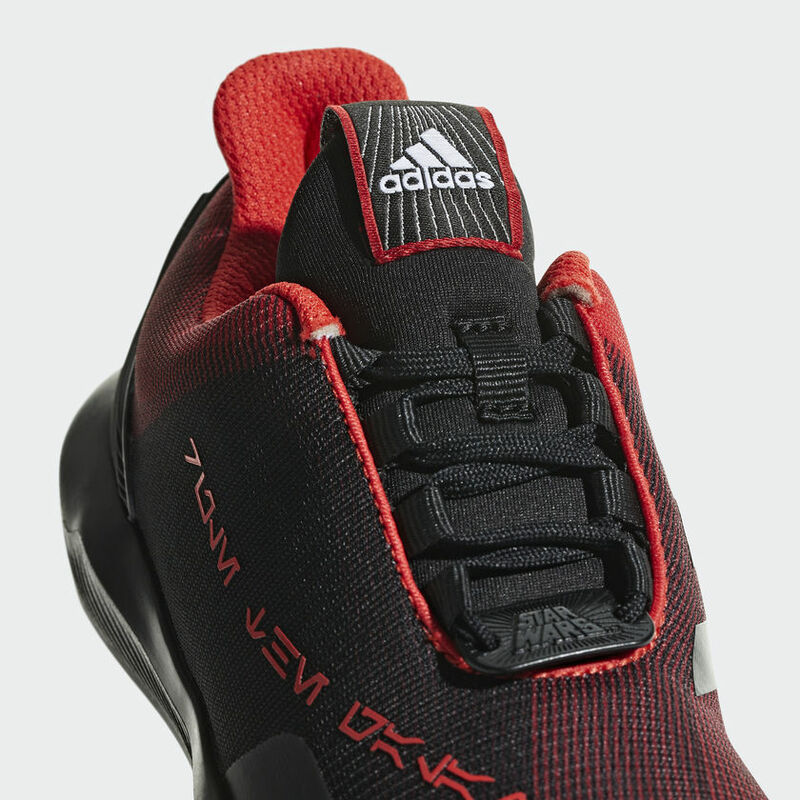 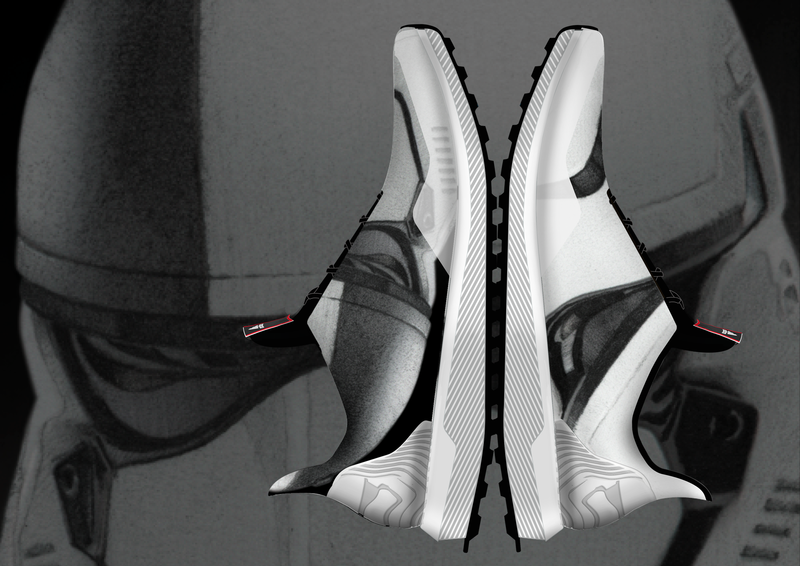 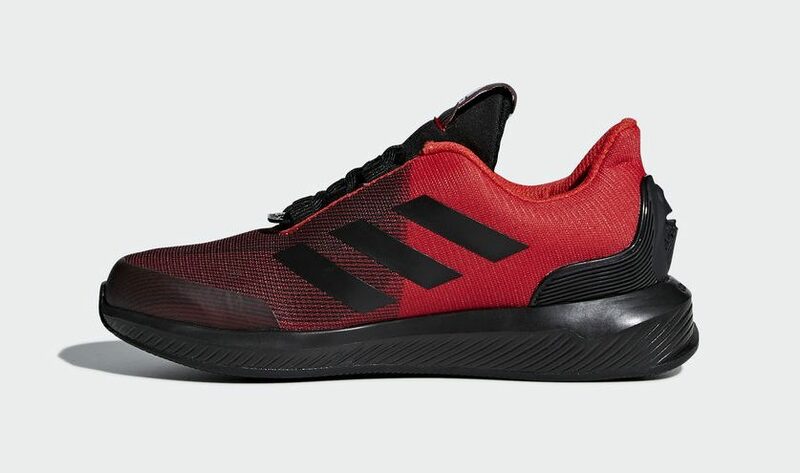 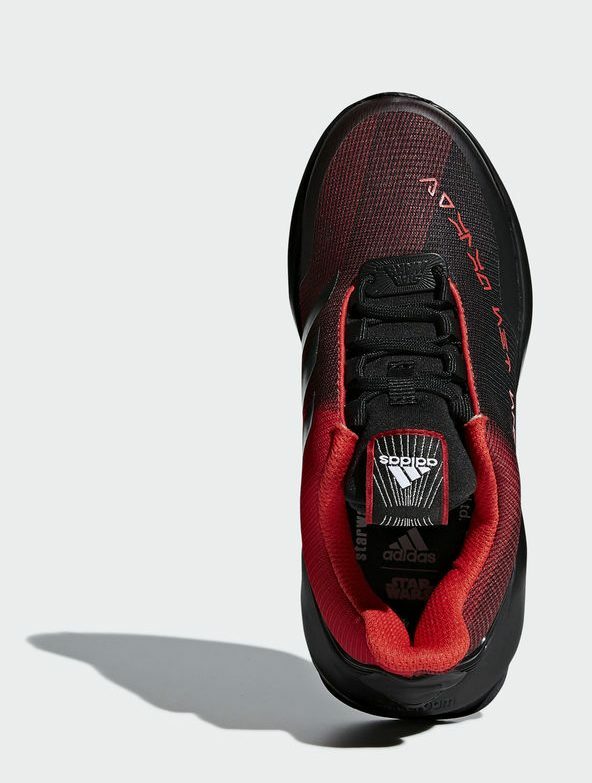 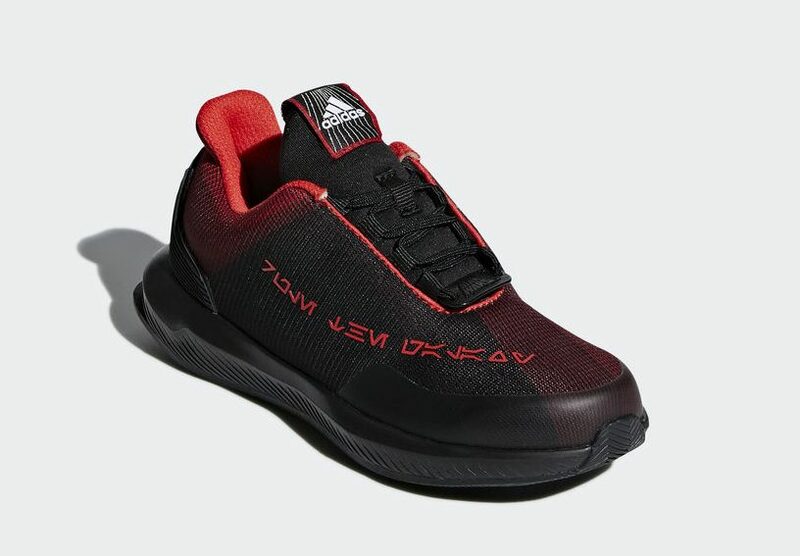 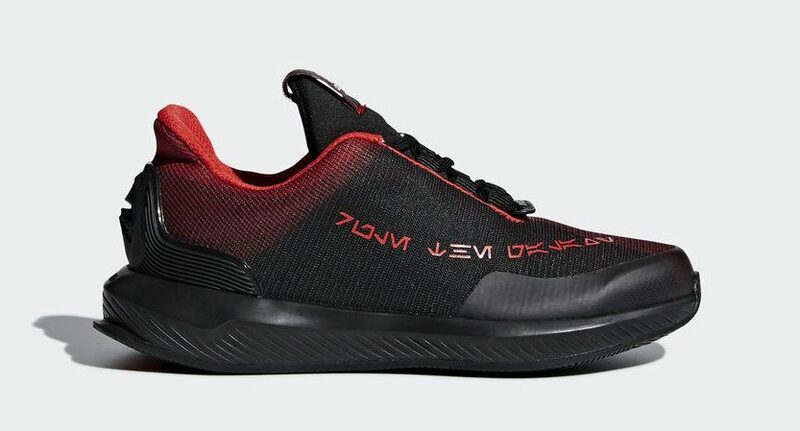 Based on the graphic concept for athletic and the « aurebesh » – Star Wars language and writing – the kyloren adidas star wars shoe on Rapidarun is a model black and red to express darkness, secret… Colors and graphic treatment which fit with the character. 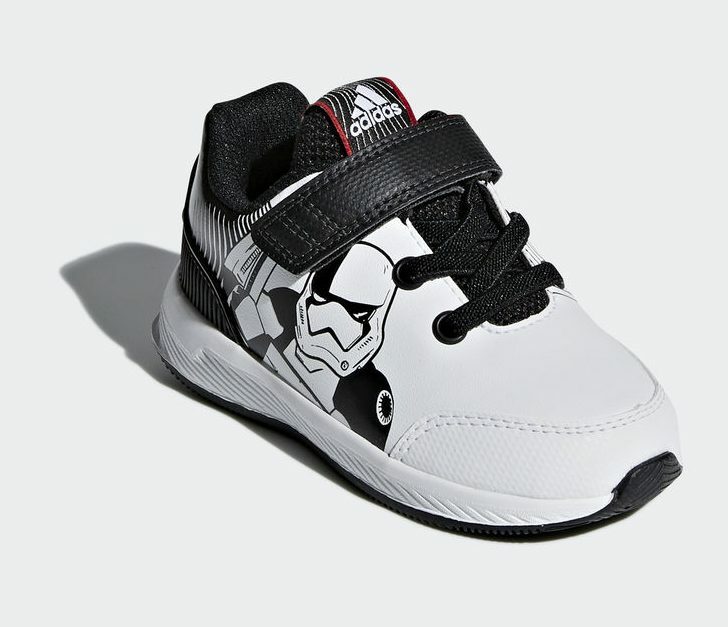 It’s also a versatile mesh and synthetic running shoe, easy to wear proudly as a true Star Wars fan. 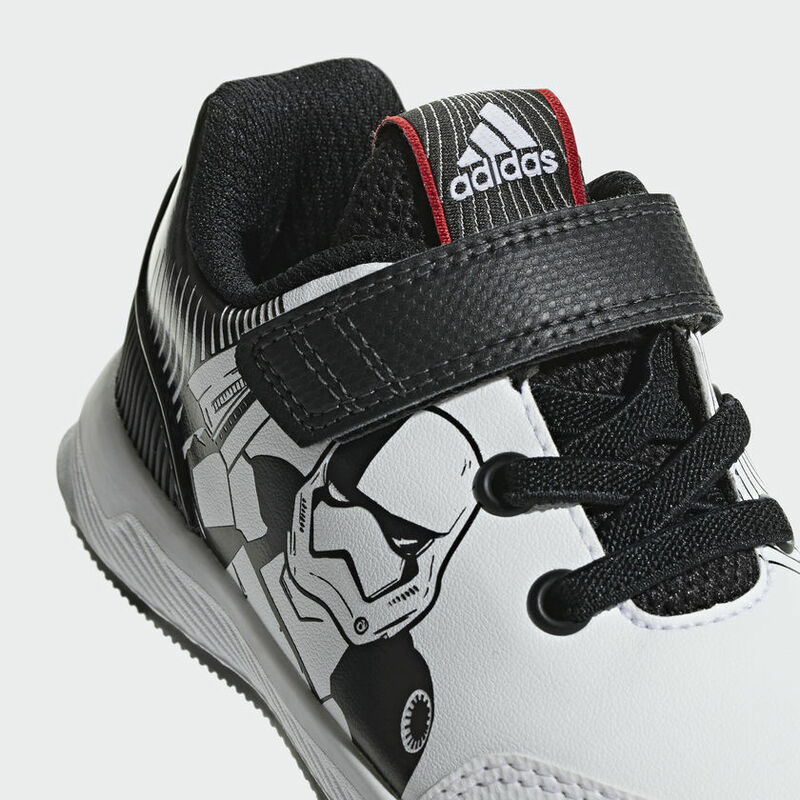 Here is the original concept for Storm troopers character. 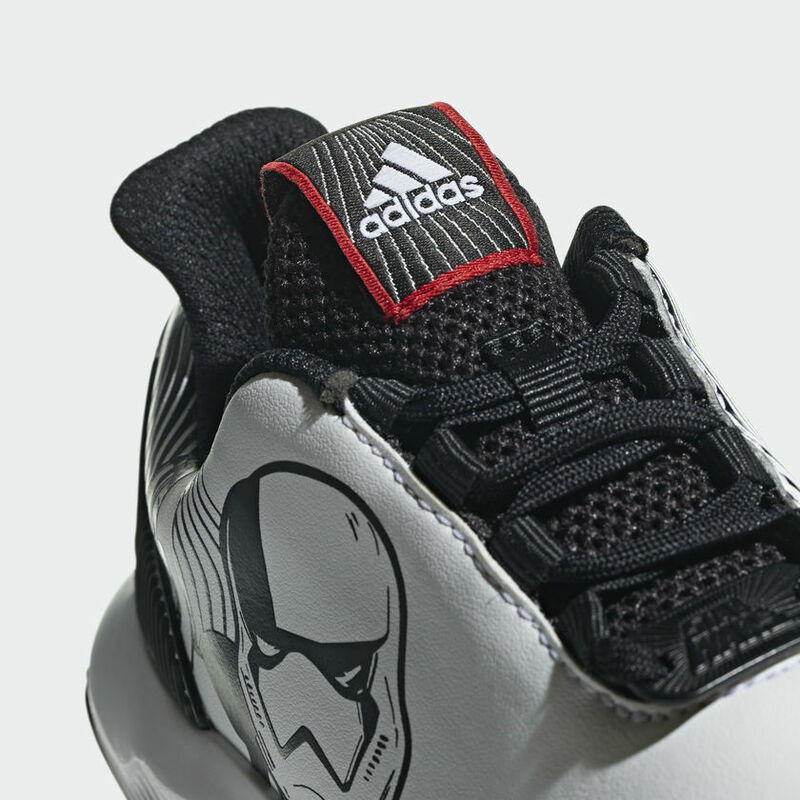 Based on the photographic concept micro zoom in, you could guess the iconic helmet.. Also, the shoe was divided in black and wet color blocking to refer to the captain Phasma. 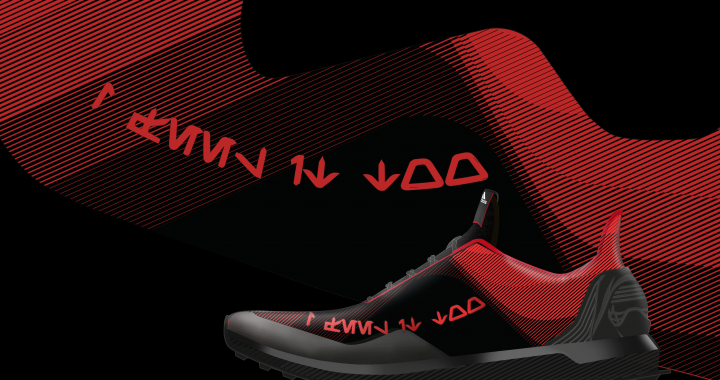 This concept was a bit too grow up for our target consumer and was replace by a similar graphic concept based on vibrating lines. 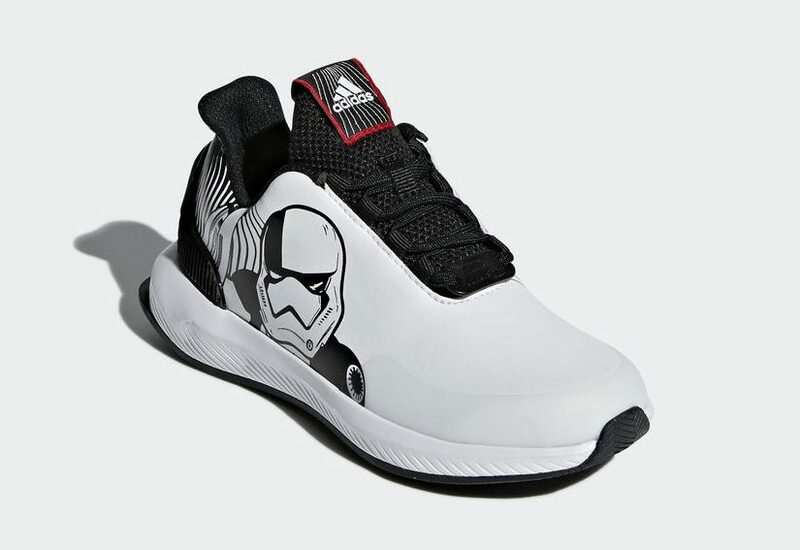 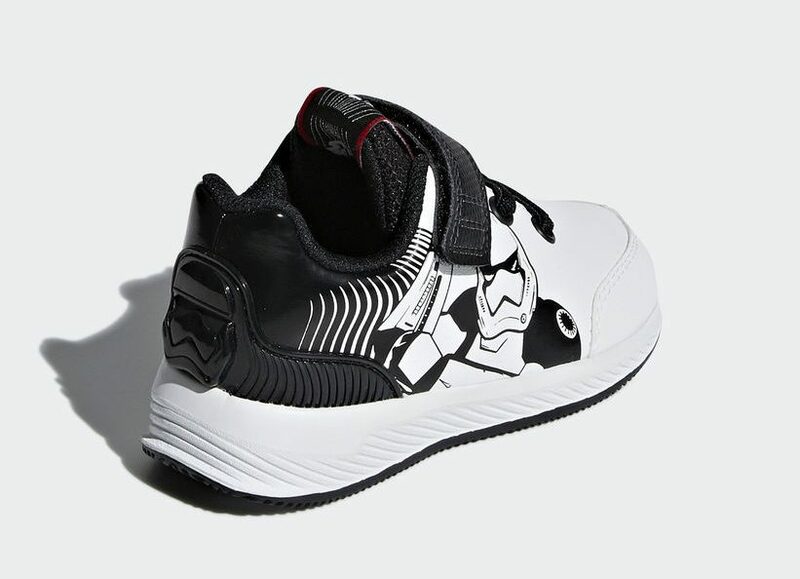 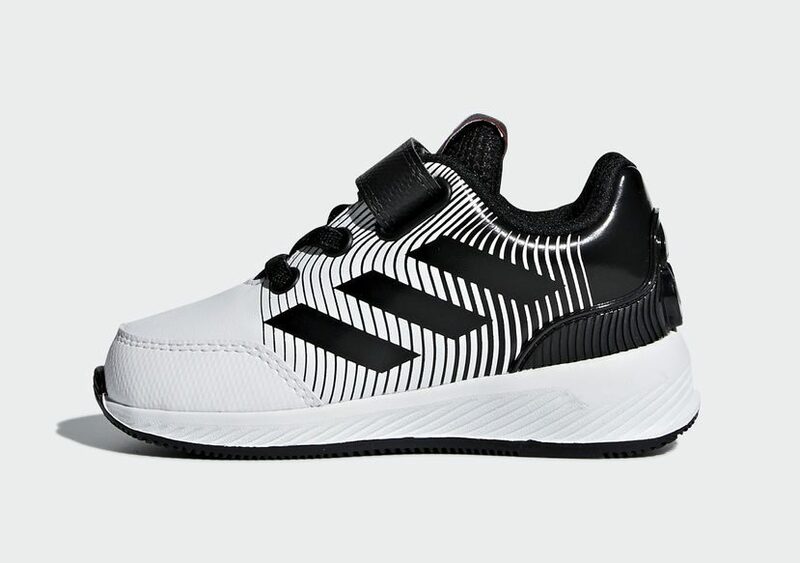 The Storm Troopers Adidas Star Wars shoe on Rapidarun is a white model with black contrast effects to express order, regularity. 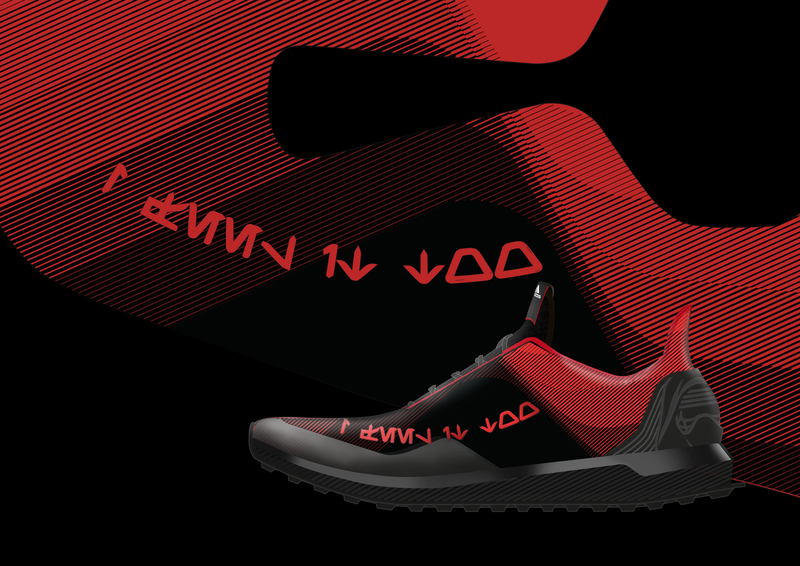 Colors and graphic treatment which fit with the character. 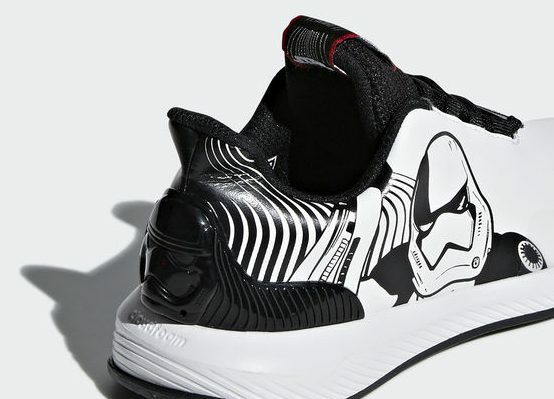 It’s also a versatile synthetic only running shoe, easy to wear proudly as a true Star Wars fan. 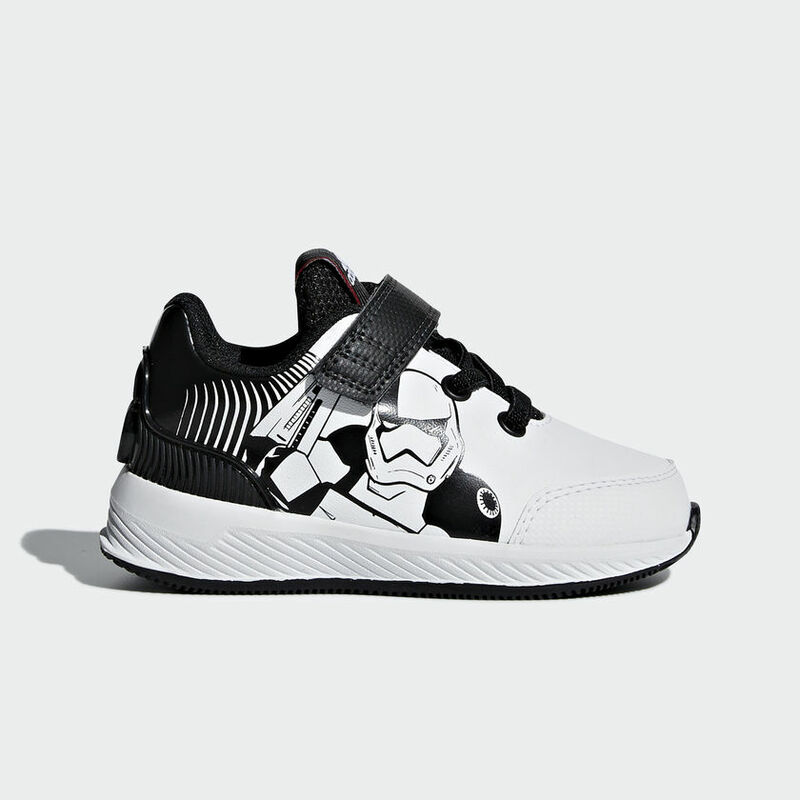 Like the Kyloren model, it’s available on K and Inf size (5,5K UK).